With summer in full swing, I am featuring porch swings in my weekly round up! 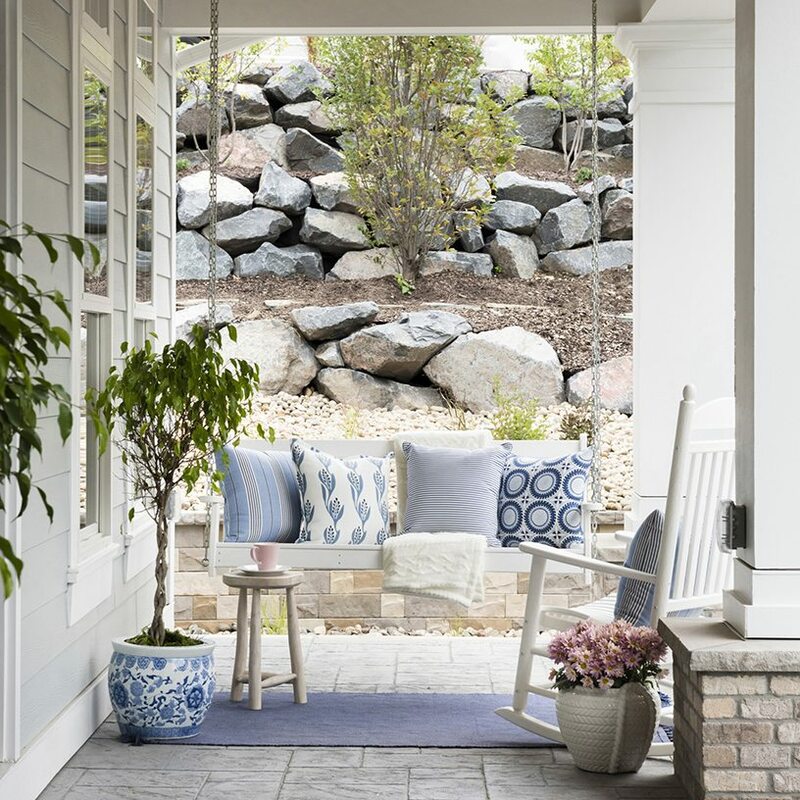 Porch swings are a great way to add a touch of charm and playful aesthetic to your porch as well as relax and take in all that is summer! Porch swings have been around for a while, but have recently started trending again. From traditional to boho to modern and everything in between, there is a swing to fit every home style. Some porch swings are traditional with a back and others are more like a hanging bed. In choosing a porch swing, it is best to decide on what size space you want to fill. The more traditional swings don’t take up much room but if you are looking for more of a statement swing or day bed, there are plenty of those styles to choose from as well. I have been on the hunt for the perfect porch swing to add to our front porch. I can’t wait to show you the swing once it is installed and styled. In the mean time, I have rounded up some of my favorite swings as well as some photos to inspire you to get the look! I would love to hear about the porch swings or hanging beds you have chosen for you home. And how do you use your swing, to relax, read a book, or cuddle with your kids? Comment below with your thoughts on porch swings.